On the other hand, you can follow some of the reasonable buying patterns for games that I use to minimize expenditure for gaming. First of all, to buy reasonably you need to do some research on how much content the game that you plan to buy provides. The more you play a game, the cheaper it effectively becomes; MMOs, first-person shooters, and real time strategy games offer a lot of hours for their cost. Also consider if you absolutely must have a game when it first comes out in order for it to stay enjoyable. Roleplaying games are a great example of games you should look to buy much later. In the current business model, a high-profile RPG will be released at $60, only to be followed soon after by DLC. You probably tell yourself then, "Well, I really like this game and I'd love to experience more adventures in this universe" and so you spend your precious money again ... and again. Before an avalanche of micro transactions slowly but effectively drains your debit account, allow me to assure you, you don't need that skin for your favorite champion in League of Legends and you do not need to pay for the new expansion for Bad Company 2 to play Bad Company 2. 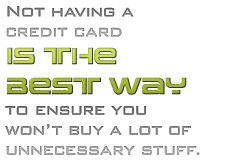 Such temptations are one of the reasons why no one I know owns a credit card; not having one is the best way to ensure you won't buy all that unnecessary stuff. With RPGs such as Dragon Age: Origins, it's worth your time to simply wait for the "Ultimate" or "Extended" edition to pay for the game and the expansions at the same time. It takes a bit of patience but that is how capitalism works - if you cannot afford the premium price, you will have to offer your time in exchange. Discipline is what you will need to truly succeed. It takes only a few months of waiting to acquire a game with up to 50% discount - or even more if you're lucky. You also might want to review your options for importing games. Given the situation with taxes and shipping, especially across the European Union, you can often import games for much less than you can buy them at your local retailer. I know for sure it's cheaper to import from the United Kingdom when you live in the Netherlands. Try it! If you pursue all of these methods and still can't find titles you can afford, then develop your networking skills so that you can borrow games from friends. Do not get discouraged with your life as a cash-strapped gamer! Sometimes, it's a life on the edge of crime. Sometimes you will dwell in the darkest corners of gaming shops scrounging for bargains. It's a life that teaches you some basic business skills, which you will enjoy whatever you are going to do in your professional line of work. At the end of the day, you will get the game you want, so game on. Bart Wojenka would like to work in the gaming industry someday, but for now, is busy riding his polar bear in Poland.